The giant diamond was bought by British luxury jeweler Laurence Graff for $6.5 Million Dollars! “One hundred percent of the value of this diamond, of the auction sale of this diamond, is going to go to the government and the people of Sierra Leone. Never before has this happened,” Rapaport told reporters. As you already know, this rough diamond is officially the 14th largest diamond in the world weighing in at a whopping 709 carats. 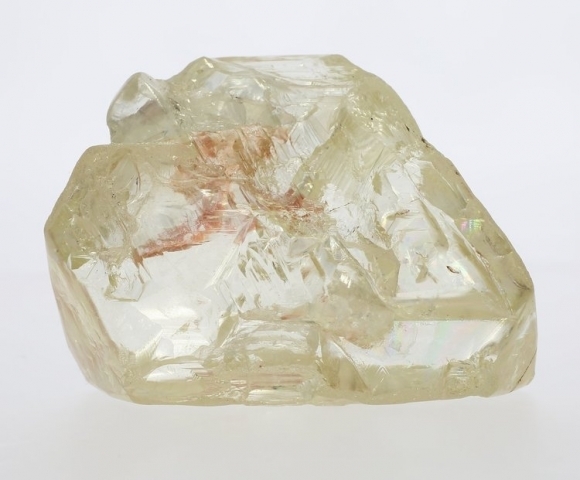 The diamond has a phenomenal story as it was discovered by a team of four miners. When the rightful owner, Dr. Emanuel Momoh, took possession of it, many people came forward to offer to purchase it from him on the black market. Instead, he refused offers which would have made him an independently wealthy man and instead decided to go the legal route. His decision will allow the sale of The Peace Diamond to benefit the community in which the diamond was found. Now, instead of the proceeds going to the few, it will go to the many. In turn, the village, Koryardu, will use the funds to build a stronger infrastructure in what is an impoverished community. Hospitals, roads and schools will be built from the sale of this one diamond. Dr. Momoh turned to the Rapaport Group to ensure the diamond’s auction would be handled with the utmost care and ethics. Can you imagine how different all of these diamond-rich regions would look if all diamonds were sold via ethical means? Well, today will be the day the world makes the largest step towards selling and purchasing ethically-sourced diamonds. It will show that diamonds can do more than just transform people, they can transform communities!